Bannister’s point was that the study of humans and human behaviour is qualitatively different to that of the rational scientist studying a set of objects. More than anything else, all persons, whether they are psychotherapists, or the subject of psychotherapists’ interventions, or even if they have never even met a psychotherapist in their lives, deal in meanings rather than fixed, physical events. It is the universal human quality of seeking to make sense of one’s world, of interpreting things in particular ways, of forming meaningful associations, that marks us so distinctly as a species. Therefore it follows that any discipline that makes claims to understanding or analysing people needs to be dealing fairly directly with processes of sense making and the construction of meaning. Strangely, some contemporary approaches in psychotherapy emphasising objective treatments for diagnosable conditions seem to have strayed from this domain. My aim in this article is to reassert its primacy, by revisiting work that focuses on the importance of the construction of meaning and sense making. I use “constructivism” to refer to “a family of theories that share the assertion that human knowledge and experience entail the active participation of the individual,” (Mahoney, 1988, p.2). In what follows I give some background to a key source of constructivist ideas in psychotherapy in the work of Kelly (1955). Then I present a case which elaborates these ideas, before describing the influence of constructivism in numerous contemporary approaches to therapy. Don Bannister was an acolyte and champion of an even greater theorist and practitioner of psychotherapy, a psychologist who emerged in the Midwest of the USA in the middle of last century, named George Alexander Kelly (1905 to 1967). Among the many fertile creations of the mind of Kelly was this proposition: that a person’s psychological processes are directed (or in Kelly’s words “channelized”) by the way in which they anticipate events (Kelly, 1955). Let us take a moment to consider that statement, for there is more richness and potential human understanding captured in it than could ever be found in a thousand brain scan studies. How do we come to anticipate events? After several exposures to an active fireplace, we quickly attain the knowledge that to stick our hand into the flames will be likely to produce pain. Philosophers call this inductive reasoning. We make the reasonable presumption that as all fires I have seen to date have been hot and produced pain upon contact, therefore all fires in the future will do the same. I have a mental construct of fires as hot and pain producing, which develops rapidly and without conscious reflection. This all seem straightforward. Similarly then, if I have a parent who reacts to the slightest expression in me of sadness over a disappointment with intolerance, discomfort, or attempts either to mollycoddle or distract, then in time I will come to associate those sad feelings with certain consequences, and may modify my expression accordingly as part of my attempts to make predictions about what the world holds for me and the likely outcome of my choices. Again, this is no intensively calculated strategy; I do not set out deliberately to develop a mental construct about sadness and caregiver discomfort, and then test it against the facts; it develops as part of dealing with the ongoing flow and flux of events with which I am constantly confronted, and have to judge, anticipate, and respond to. Indeed for all intents and purposes it may remain undetected, unless it emerges from a course of earnest self reflection, or through the identification of patterns in my social and intimate relationships, or is elicited in dialogue with a skilful psychotherapist. Kelly thought there were certain rules and systems in play in how we develop these mental constructs. Most importantly, he accounted for our uniqueness of self not in terms of genetics, or the mystery of the soul, but rather the network of meanings we develop as a result of our accumulated experiences. People differ from each other precisely in the differences in their personal construct systems (Winter, 2003). Sure, there may be overlap in mental constructs, particularly given the influence of dominant cultural notions, but no one will have exactly the same network as me. Further, as Dorothy Rowe (1983) has put it, I AM my network of meanings. It is not as if the “I” is an independent entity which creates the structure or network. The network of meanings is me, and I am my network of meanings. From here, it follows closely that our individual psychological processes are directed by how we anticipate events. Our network of meanings is overlaid on events to create experience. We cannot not do this. For Kelly, psychotherapy therefore is properly concerned with how people create meaning, and what those meanings are. His is a model of the person not as puppet but an agent, as creating and constructing meaning, making sense of what is going on, drawing conclusions and acting on the basis of those conclusions. Behaviour is not reactive, it is the human means of testing out our notions about the world. He eschewed motivational theories as he viewed the person as already a “form of motion”. Kelly spoke of the “cycle of experience” which involves anticipating events, having an encounter with the environment, assessing the outcomes, and then performing any “constructive revision” that arises as necessary. He addressed common diagnostic constructs (such as anxiety, fear, or hostility) in terms of one’s construct system being in a state of transition, of which one was aware. This he theorised anxiety as an awareness that one’s constructions do not adequately equip one to predict the events with which one is confronted. Kelly believed that as individuals attend to recurring aspects of their experience they forge functional distinctions as mental constructs which don’t just depict or invent reality, but tell us how best to perceive it. Forging distinctions, and anticipating, bring events into existence, enabling them to stand out from the seamless flow of experience. However, Kelly was at pains to point out that constructs are not simply ‘cognitive’, and that his was not a cognitive theory. Applying constructs is a total personal discriminative act (Kenny, 1984) and may involve feeling, thinking, acting, as well as physiological and somatic aspects. The whole person is conceived as being involved in the sense-making enterprise. For example, we may give meaning to an experience through the anticipation of a particular taste, without necessarily being aware of any thoughts in our heads about such an event. But there is another dimension here, to do with exactly what events we have to anticipate, and what preordained concepts and distinctions are available with which to view them. This might seem like a strange idea. Surely events are plain to understand, just as depression is a reality, and it is clear what we mean by being a good mother. But no, none of this is clear, or fixed, or beyond debate. Cultural influences, and social practices, greatly influence all we think and how we see and feel. In support of this, recently there has been evidence for (and accompanying re-emergence of the view that) levels of psychological distress in nations are linked to the nature of their social and economic systems (James, 2008). Surely, it might be countered, some interpretations are accurate, and real, and others are not. Some meanings will hit the “truth”, and others will stray from the target. Alas, the problem with this rejoinder is simply that as none of us has anything other than our own meaning networks, we have no ultimate frame of reference. It is true that some ways of looking at the world seem to provide a better basis for predicting the future, but none are foolproof and, in the inevitable complexity of a network of meanings, the overall world view they produce can never be incontrovertibly asserted as the one true reality. Kelly simply concluded that there may or may not be an external reality “out there” – it did not matter, for we can never have anything more to draw on than what we have interpreted, what we have learned to see given our experiences. The consequences of all this for psychotherapy are profound. To understand another person, we have to try to see how they see themselves and their world. The principal concern of assessment then is the “elicitation of the client’s view of the world,” (Winter, 2003, p.224). There is no monopoly on how to do this, or to do it well. It is by no means the exclusive preserve of particular schools of psychotherapy. In fact, it is very difficult to do, as we can only see the other person through the prism of how we see things, and anyway they are likely to be green slime trying to see us through the prism of their own world views. However, not only do we construct our worlds, we can, as therapy reveals, reconstruct them. Indeed Kelly explicitly viewed therapeutic change as a process of reconstruction. Kelly termed his account of human psychology “personal construct theory”, and his description of its application to therapy has sufficient distinctive features to constitute a distinctive approach. However the theory falls under and yet also conveys the broader canvas of constructivism which has widespread relevance to psychotherapy. Before elaborating on this relevance and influence, I now describe a case which is illuminated by some of the key concepts of constructivism as represented by personal construct therapy. Luis presented for therapy reporting writer’s block occurring half way through a doctoral thesis. He was highly intelligent, exuberant and articulate. He described a background of growing up in South America, with a close supportive family. When he was a young adolescent a close friend suicided. The friend was a few years older and someone to whom Luis looked up. All in the local community were shocked and devastated. A few weeks later Luis experienced a mystery paralysis in his body, and was suddenly and immediately struck down, unable to move for weeks. The exact cause was never identified. He was in hospital for three months and then had about a year and a half of rehabilitation and physiotherapy. One side of his body never recovered fully. He learned to accommodate to this: he was not able to pursue sport; he could not walk too far. He concentrated on studies, and did extremely well at school. He won a scholarship and went to study at University. He described having a happy and free life; he felt he had moved on from his childhood. Luis started teaching at a local University. He came to Australia on a teaching exchange. He then went back and forth between South America and Australia before and gaining residency and settling here. He became fluent in English. He got a job teaching University Spanish, and a couple of years ago began a PhD in Politics. After a year of productive work on his thesis he stopped being able to write. Coinciding with this was arranging for major corrective surgery for a deformity which was a direct result of the childhood paralysis, and about which he was experiencing feelings of anxiety. He decided to take a year’s leave of absence from study, to allow for medical recovery, and to “sort things out”. I was struck when first meeting Luis by the “paralysis” that had overcome his thesis writing as the surgery on the effects of his childhood infirmity approached. Pointing this out to him, he noted that he was having more and more memories and thoughts of that difficult period of his childhood. As we explored this in further detail in subsequent sessions, he reported some themes associated with his self image, or what Kelly called “core role constructs”. These are constructs by which we maintain our identity (Fransella and Dalton, 1990). Luis reported feeling a lack of confidence with his writing. He also reported being hard on himself, and feeling that whatever he did was never good enough. He talked of wanting to please others, and be liked. Finally he reported that he was questioning why he was doing a PhD. His love was for teaching, not research. He needed a PhD to teach on any sustained basis in an Australian University, but felt his motivations were mixed with other things such as pleasing others, and some enduring effects of his parents’ expectations. He also revealed previously unmentioned symptoms of low mood. It emerged that Luis displayed what in personal construct therapy terms would be described as a set of particular “tight” (or rigid) set of constructs around his self image. One of Kelly’s most important notions in his own theory of counselling is this loose-tight dimension (Fransella and Dalton, 1990). Tight constructs are utilised in an unvarying way. Loosely constructing the world means having strands of meanings less consistently knit together. Some people are more inclined to tighten, some to loosen, but the point is that we need both. Kelly described what he dubbed the “creativity cycle”, which is a description of change as including the ongoing movement from tight to loose and back again, as an ongoing process. Clients can get stuck in one phase of the cycle. It is necessary for us to tighten constructs to navigate and understand the environment. These can then be tested further through encounter with the environment, and confirmed or modified. Psychological difficulties result if constructs are impermeable to testing or change. Psychotherapy often involves a process of loosening and tightening of constructs. Loosening strategies are diverse and can include imaginative exercises, dream work, free association relaxation, and versions of what in Acceptance and Commitment Therapy might be represented as “cognitive defusion” (Harris, 2007). Note however that it is a very important part of this overall process to tighten again. Equal and opposite difficulties can arise in those whose constructs remain too ill defined or imprecise to be placed over experience in order to provide direction, structure and meaning. Luis had a particularly tight construct associating personal actualisation with an exuberant and highflying intellectual style, that was nevertheless at odds with other aspects of his experience of himself. For Kelly, the experience of the emotions of anxiety and threat involves being dislodged from one’s constructs, especially core role constructs. In short, Luis was trying to be someone he was not, and we were able to identify some of the constitutive events that had brought this about, including compensatory activity for his physical disability, a compensation which he pursued very vigorously in his educational career more or less immediately after the childhood paralysis episode. This was reinforced by well-meaning parental expectations, and he was also subsequently influenced by the ethos and imperatives of various academic institutions in which his tendencies became most sharply honed. He realized he also had a pattern where he was either ahead of the game and doing “better” than everyone else, or withdrew and removed himself altogether. He also reiterated his awareness of patterns of not wanting to disappoint others, and of the horror of failure, which he linked to feelings of guilt and remorse in relation to the friend who died. At the same time we were also able to identify a concrete pattern of perfectionism involving not attempting to write anything because it would by definition be not good enough, leading to setting more demanding standards and expectations of oneself, which in turn could not be met, eventually resulting in paralysis. He had recreated his paralysis in a new form, whilst also re-experiencing it through memories prompted by the upcoming surgery and his anticipation of post surgery immobilisation. This whole process of exploration and uncovering reflected a typical constructivist reformulation of the client’s problems in terms of the organization of personal meaning which underlies them. Such a therapeutic reformulation is often at odds with a client’s initial presentation of their problem which may tend to focus on things like symptoms and external attributions (Winter, 2003). There is also a concern in personal construct approaches with not dismantling some aspects of a person’s construct system until viable alternatives become available – otherwise the result can be an accentuation of anxiety and client reactions to preserve their existing construct system. The focus of intervention with Luis then became loosening (and broadening) his ideas around his sense of himself, especially constructs relating to his “intellectual self”. This included experimenting with different interpersonal styles. Kelly promoted a therapeutic strategy which he called “fixed role therapy” where a client is encouraged to take on the sketch of a character who is neither alien nor ideal to them, and as an experiment to try to be the person so described for a limited time. This enables the client to try out new behaviours and ways of looking at things, out of which they can experience that they are not necessarily trapped inside their background or customary thoughts and behaviour (Bannister and Fransella, 1971). The aim is less to effect any sort of transformation as to provide “one good, rousing, construct-shaking experience,” (Kelly, 1955, p.412). With Luis, this change experiment was also expressed in the psychotherapy relationship, in his openness and willingness to present a less exuberant and more grounded persona, and to explore the experience of relating from a position which included recognition of some low mood, as well as humility. This reflects the broad personal construct intent to help the client to discover in their lived experience that it is possible to view events relating closely to their sense of self in alternative ways. Their participation in the cycle of experience can then be set in motion again. Following from this was a process of tightening, including consolidating a new sense of “real” (reconstructed) self that was consistent with his encounters with the world. A particular set of tightening techniques proposed by Kelly involves “binding” a construct to the situation it was initially developed to deal with. For Luis, the qualities he eventually identified as most valued in himself including few related to intellectual achievement and ambition which had previously dominated his actions and activities. They included his time and generosity for others, that he was a good listener; that he was able to be open and honest with his partner. This work in due course enabled Luis to expand his interpersonal repertoire, explore other options for his career and also the manner in which he might pursue an academic career, and generally expand his sense of choice and freedom as opposed to feeling trapped, resentful and lacking motivation. He also acquired a deeper sense of self acceptance. His symptoms of low mood resolved relatively quickly. The operation proceeded successfully. The recovery was confronting, in that he was immobile in bed for four weeks post operation. Luis used this time for reflection – it was a form of loosening experience. He described it as forcing him to come to terms with his experience. But he also found he was no longer reliving the experience of the past. He was opening up to others about his struggle. During this period of rehabilitation, Luis actually accepted a new teaching position, and took steps to re-engage with his thesis, which he conceived of as now being like an office job, a project for completion, rather than an expression of all he had to offer both intellectually and personally. Luis’s case reflects rich themes which no doubt could be amenable to understanding through a variety of theoretical perspectives. From a constructivist viewpoint however, the case illustrates how the meanings and frameworks which have been constructed out of experience provide “vestibules” along which individuals pass, with psychological consequences. Kelly suggests that therapeutic practice is likely to be effective when a therapist joins with a client in establishing that there are numerous alternative viable constructions of the client’s predicament, Indeed, the situation of a client is viewed as “generated by and embedded within current living patterns rather than as products of mysterious outside forces or internal psychic diseases,” (Efran and Clarfield, 1992, p.216). Working with those constructions and these patterns enables movement, change, possibility and growth. How this fundamental model influences and indeed underpins many more contemporary conceptualisations of psychotherapy is now discussed. Although many constructivists acknowledge that it is possible that a “real world” exists outside of human consciousness or language, they tend to suggest that that world is essentially unknowable. This has led to complaints that they foster an “anything goes” or “one view is as good as the next” philosophy. But constructivism does not preclude the validity of having preferences, hopes and opinions, it just stops short of “claiming that these… derive from a privileged access to an outside, objective reality,” (Efran and Clarfield, 1992, p,205). Accordingly, as Kelly exemplifies, constructivists attend to people’s construction of the world, rather than evaluating the extent to which such constructions are “true”. This emphasis on the active nature of the mind dates back to philosophical traditions as old as Vico (1668-1744), who asserted that “the true is precisely what is made” and examined the universal attempt to understand the world by projecting human ideas upon it. In the twentieth century, as psychotherapy evolved, Kelly was the first to develop a fully articulated approach reflecting constructivist ideas. His unique approach was unusual and hard to pigeon hole – at various times it was characterised as behaviourist, psychoanalytic, and existentialist (Kenny, 1984). Indeed, the influence of constructivism can be found in developments in each of these areas, and more. Like behavioural approaches, Kelly’s therapy was likely to encourage a client to experiment in action. However it was primarily concerned with the constructions underlying behaviour and the reconstructions possible through experimentation. Constructivism has even permeated long-standing traditions of psychotherapy, such as psychoanalysis. For example, Spence (1982) argued that analysis could not discover the historical truth of the client’s life, but only constitute a procedure for disclosing its narrative truth in the eyes of its author – the patient. Ecker and Hulley (1996) developed a “depth-oriented brief therapy” which uses a procedure of questioning to reveal the hidden implications of the client’s pro-symptom and anti-symptom positions. Like other contemporary constructivist approaches, this integrative model of therapy relies more heavily on experiential exploration of clients’ meanings (using loosening techniques such as visualization exercises), than on the interpretive stance preferred by classical psychoanalysts (Neimeyer, 2006). It has also been extended to attachment theory, with the relationship between child and caregiver considered central to the development of a person’s knowledge of self and world and their consequent personal meaning organisation (Winter, 2003). The exploration of a person’s construct system can attend to the therapeutic relationship itself, with the client’s construction of the therapist providing a basis for changes in meaning structures such as working models of significant others. Another tradition to be influenced by constructivism is humanistic-existential psychotherapy, where the emphasis on human choice, agency and honouring experience converged with core themes of constructivist theory in terms of the active construction of meaning and experience. Finally, family systems therapies have been revolutionized by constructionist perspectives, adopting a non-authoritarian view of therapy as a conversation, the goal of which is to alter what Anderson and Goolishian (1986) termed the “problem determined system.” In such approaches, the therapist functions less as an expert dispensing answers, than as a conversation manager who promotes the sort of exchanges among family members that “dissolve” old problems by “languaging” about them in a new way. The emphasis here is in the construction that arises through social interaction as mediated by language. Therapy becomes the “co-constriction” of realties by means of conversation. Other family therapists have adopted the constructivist metaphor of lives as stories, and have devised novel means of helping clients free themselves from the “dominant narratives” that originate in particular families and cultures, and that keep them from feeling like the authors of their own lives. The assumption here is quite thoroughly constructivist, in proposing that clients encounter problems not because life is inherently problematic or because they have a mental disorder, but because of the way they frame their problems and make sense of events that occur in their life. A major concern in Kellyan approaches to therapy is identifying avenues of movement open to the client. This includes possibilities for new “stories”. Perhaps the most well-known consequent expression of this has been in narrative therapy. For White and Epston (1990), “externalising” the problem by reconstruing it as something separate from the client’s “self” provides a useful first step toward recognising its destructive impact on clients and the relationships in which they are engaged. Therapy can then turn toward recognizing and validating those exceptional moments when a person begins to resist dominant narratives, and rewrite (reconstruct) their life story along more hopeful lines. A common theme in these systemically informed variants of constructivism is their emphasis on the resourcefulness of individuals, families, and communities in resolving problems in living. Accordingly, clinical work is cast as a search for solutions, rather than addressing a diagnosis of dysfunction (Neimeyer, 2006). There is no doubt that amongst these diverse influences, tensions arise. Theorists who champion the individual’s role in meaning-making are potentially at odds with those who emphasize the extent to which meanings reside in systems of culture and language that precede or supercede any given individual (Norton, 2006). The latter arguments undermine the straightforward depiction of the proactive self endorsed by constructivists with more humanistic leanings. However this same emphasis on the social and discursive construction of reality has sensitised constructivism to issues of familial, ethnic, and cultural meanings, thereby enhancing its relevance and inclusiveness. The constructivist psychotherapist David Smail tells a story of being asked at a party what he did for an occupation, and when he replied that he was a psychologist, his interlocutor responded with a rather tired smile and commented “Ah. Aren’t we all?” (Smail, 1983). For Kelly, well, yes, we are. The limited attention that Kelly’s work attracted in mainstream psychology (for example, Hall and Lindzey, 1978) had it characterised as a model of people acting like scientists – not formally, nor deliberately, but in a lay sense, in effect formulating and testing hypotheses about the world and how it functions. This characterisation reduced the richness and breadth of Kelly’s ideas. Unsurprisingly, in a century that produced thermonuclear weapons, it also led to the disaffection with the ethos of such a model in those disheartened by the implacable and untrammelled march of science. At the other end of the scale, a close-knit following evolved which saw Kelly as the source of truth, treated his main book as a sacred text, and built on his ideas more in theory than in practice. Kelly himself thought that one day his theory would be superseded by other, better accommodations to the world. Indeed, there have been substantial elaborations of Kelly’s initial ideas, including by Kelly himself. His initial tome is not the most accessible introduction to his writings, which may instead be found via papers that were published subsequently, including after his death (Maher, 1969). In addition, there remains vigorous debate, as well as a steady output of literature, on aspects of constructivist psychotherapy. The main journal in the area, the Journal of Constructivist Psychology, regularly contains articles that explore links between personal construct therapy and other approaches. For example, Toomey and Ecker (2007) have developed a framework for conceiving of relations between constructivist psychology and neuroscientific knowledge. Lester (2009) has recently detailed the ways in which a much wider range of emotions can be understood in personal construct therapy. Finally, two recent major publications detail the contemporary relevance of constructivism to therapy. Constructivist Psychotherapy in the Real World, edited by Raskin & Bridges (2009), includes chapters from a diverse range of contributors who demonstrate the application of constructivist ideas to everyday clinical practice. Constructivist Psychotherapy by Robert Niemeyer (2009), although part of Routledge’s CBT Distinctive Features series, nevertheless catalogues the multiple key commitments that actually distinguish constructivism from cognitive behavioural perspectives. Constructivist psychotherapy remains unfamiliar to many clinicians however, despite offering a variety of innovative and practical therapeutic approaches and techniques. It is perhaps unsurprising that the detail of Kelly’s idiosyncratic thought has been difficult to incorporate into generally held ideas. The theory itself was presented in a quasi mathematical form as a series of postulates, and featured abstruse nuances and intricate elaborations. It was supplemented with complex matrix-based techniques to measure the concepts and constructs that people design, deploy and develop to navigate their way through life, and which make up their psychological self. It seemed like another attempt to present psychology in the format of a “hard” science, which was ironic given that it is an antidote to those approaches which abandon the meaning in human lives for the sake of seeking some putative “objectivity”. But more than anything else, the broad church of psychology did not embrace Kelly’s model for political reasons: as noted above, it offered no monopoly on understanding how to understand, pronounce upon and interpret people’s problems. It reconstituted the role of the expert. Despite all this however, the spirit and thrust of Kelly’s work, as the first to thoroughly introduce and apply constructivist notions in psychology, has thoroughly permeated psychotherapy. It is time for this legacy to be recognised. Anderson H. & Goolishian H. (1988). Human systems as linguistic systems: Evolving ideas about the implications for theory and practice. Family Process, 27: 371-93. Bannister D. & Fransella F. (1971). Inquiring Man: The Psychology of Personal Constructs. Dover: Croom Helm. Ecker N. & Hulley L. (1996). Depth-Oriented Brief Therapy. San Francisco: Jossey Bass. Efran, J. S., & Clarfield, L. E. (1992). Constructionist therapy: sense and nonsense. In McNamee S. & Gergen K.J. (eds. ), Therapy as Social Construction. London: Sage. pp. 200-217. Fransella F. & Dalton P. (1990). Personal Construct Counselling in Action. London: Sage. Guidano. V. (1987). Complexity of the Self: A Developmental Approach to Psychopathology and Therapy. New York: Guilford. Guidano V. (1991). The Self in Process. New York: Guilford. Hall C. and Lindzey G. (1978). Theories of Personality (3rd edition). Chichester: Wiley. Harris R. (2007). The Happiness Trap. Wollombi: Exisle Publishing. Kelly G. (1955). The Psychology of Personal Constructs. New York: Norton. James O. (2008). The Selfish Capitalist. London: Vermillion. Kenny V. (1984). An introduction to the personal construct psychology of George A. Kelly. Irish Journal of Psychotherapy, 3(1): 24-32. Lester D. (2009). Emotions in personal construct theory: A review. Personal Construct Theory and Practice, 6: 90-98. Maher B. (ed.) (1969). Clinical Psychology and Personality: Selected Papers of George Kelly. New York: Wiley. Mahoney M. (1988). Constructive metatheory: I. Basic features and historical foundations. International Journal of Personal Construct Psychology, 1: 1-35. Neimeyer R. (2006). Constructivist psychotherapies. Retrieved 25 August 2009 from: http://www.pcp-net.org/encyclopaedia/const-psther.html. Neimeyer R. (2009). Constructivist Psychotherapy: Distinctive Features. Hove: Routledge. Norton J. (2006). A depth psychology for our times: Integrating discourse and personal construct approaches. Personal Construct Theory and Practice, 3: 16-26. Raskin J.D. & Bridges S.K. (2008). Studies in Meaning 3: Constructivist Psychotherapy in the Real World. New York: Pace University Press. Rowe, D. (1983). The meaning and intention of helping. In Pilgrim D. (ed). Psychology and Psychotherapy: Current Issues and Trends. London: Routledge and Kegan Paul. Smail D. (1983). Psychotherapy and psychology. In Pilgrim D. (ed). Psychology and Psychotherapy: Current Issues and Trends. London: Routledge and Kegan Paul. pp.7-20. Spence D. (1982). Narrative and Historical Truth: Meaning and Interpretation in Psychoanalysis. New York: Norton. Toomey B. & Ecker B. (2007). Of neurons and knowings: Constructivism, coherence psychology, and their neurodynamic substrates. Journal of Constructivist Psychology, 20: 201-245. White M. & Epston D. (1990). Narrative Means to Therapeutic Ends. New York: Norton. Winter D. (2003). The constructivist paradigm. In Woolfe R., Dryden W. & Strawbridge S. (eds). Handbook of Counselling Psychology. London: Sage. pp. 219-239. 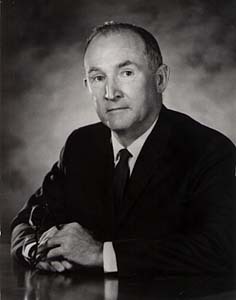 Norton J. (2010). Making and remaking the world: Recognising the influence of constructivism on psychotherapy. Psychotherapy in Australia, 16(2): 10-16.